Recently, I was asked in my media analysis class to write about a group in society that faces the most discrimination or misrepresentation. I chose Muslims. I believe that Islam is misrepresented by the mainstream media as a result of a few actions that “extremists” have done. This bothers me because even if only a few did it, still the media labels all Muslims as “Terrorists.” I am Muslim, but I am not a terrorist. I am not an extremist. I am just another follower of Islam, someone who is being bullied by the mainstream media. My religion is being stereotyped, based on “facts” that are either not true at all or only partly correct. The mainstream media have never really bothered picking up a Quran to learn the peaceful passages in it (and there are many). Instead, they listen to rumors about what Islam teaches. It’s the same stories and arguments over and over again. Too many Americans believe that Muslims are all extreme, or that Muslim extremism is somehow different from other kinds of extremism. But it isn’t. There are extremists in every religion and culture: Christian extremists, Hindu extremists, even American extremists. I get frustrated to read some of the ignorant comments about Islam that are written on social media, in blogs or in comments. For example, you may recall several months ago the story of a 14-year-old Muslim boy from Texas named Ahmed. He just wanted to impress his science teacher, so he made a clock at home and brought it to school. But when he showed it at school, one of his teachers thought it was a bomb. Although it didn’t look like a bomb, someone reported that Ahmed just looked to some people like someone who might want to make bombs. Really? He just looked like it? Why would someone just “look like” they want to make something that would kill an immense amount of people? That’s crazy! But he was a Muslim and he built something, so it must be a bomb, right? Stereotypes like these have been going on ever since 9/11 happened. It has been about 14 years since that day, but there are still Americans who cannot believe Muslims are human beings. But what Osama Bin Laden did does not represent all the followers of Islam. And yet, I can read hateful comments on Twitter: like, “Muslims are disgusting, go back to your country,” or “Why are they alive? They should be the ones who were killed.” We Muslims are the ‘horrible” ones according to many Americans. But that is not what Islam means to me; that is not my experience at all. In fact, I believe Muslims are the most peaceful people. But the media rarely presents us like that. So, let me ask you this: before you judge Islam, do you really know any Muslims? Do you know people like me? 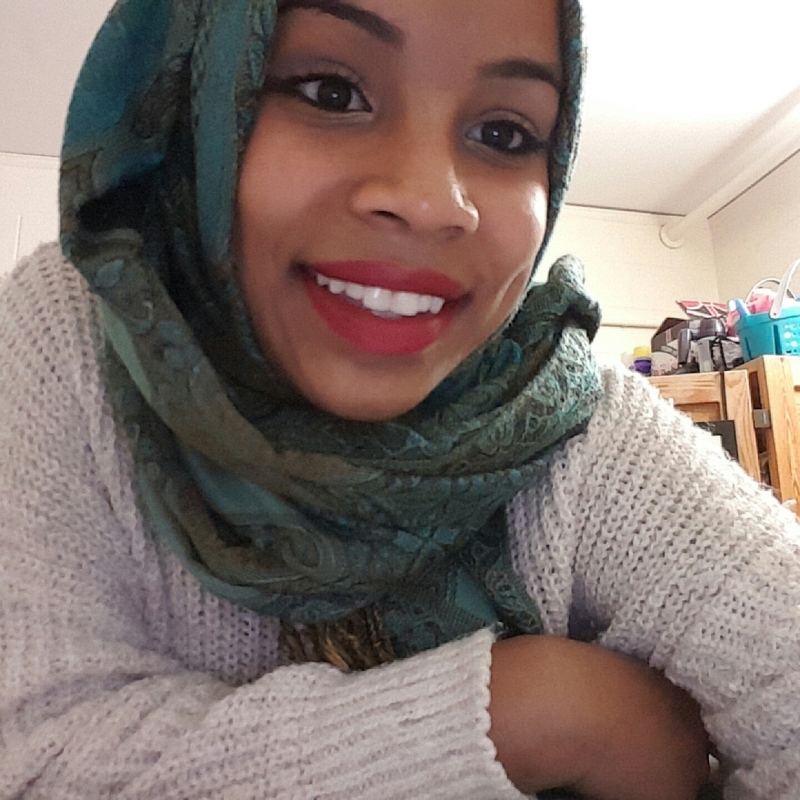 I grew up a Muslim, and I have been wearing the hijab for seven years. Not once have I regretted it; not once have I been sorry about my beliefs. Yet the media cannot accept that. According to them, I couldn’t possibly be happy with who I am. I wear the hijab so I must be oppressed. But I choose to wear it. And I am not oppressed at all. Yet, I have been asked rude questions; I have been stared at, and treated differently because of my headscarf. And why? Because the media associate it with oppression. But despite the misconceptions about the hijab, that has never stopped me from wearing it, because the headscarf is a part of who I am and who I want to become. I am not going to let a few ignorant people slow me down. It upsets me to see that Muslims, and the entire religion of Islam, continue to be stereotyped. We are seldom treated equally, we are seldom trusted or understood. But that will not stop us from fighting for our rights as Americans… because we are Americans, and we do not deserve the hate, the stereotypes, and the misrepresentations. Before you judge us, get to know us. That is the best way to end the prejudice we face every day. Thanks! Much Appreciated! I needed to get my voice out there! Inspiring! It’s absolutely amazing to read something like this! You go Rianne! Hope to see more of your writings!